I love camping! 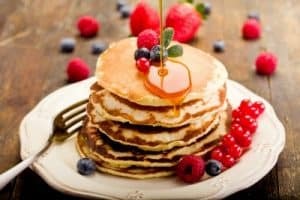 If you do as well and are looking for some yummy breakfast recipes to start your days off while camping – you are in the right place. 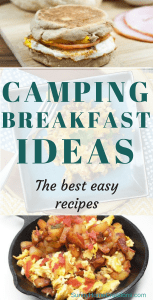 Here are some camping breakfast recipes to try next time you go camping. 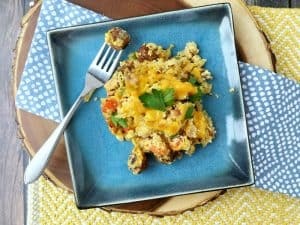 This skillet sausage and egg hash looks like such a yummy, filling breakfast. When camping, if you have big plans for the day, such as hiking and a filling breakfast before you head out for the day is needed. You can find this recipe at Must Have Mom. 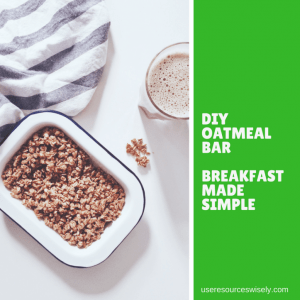 These DIY oatmeal bars seem like such a great breakfast. 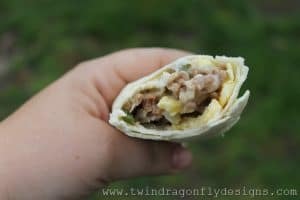 Breakfast burritos are always popular when we go camping. 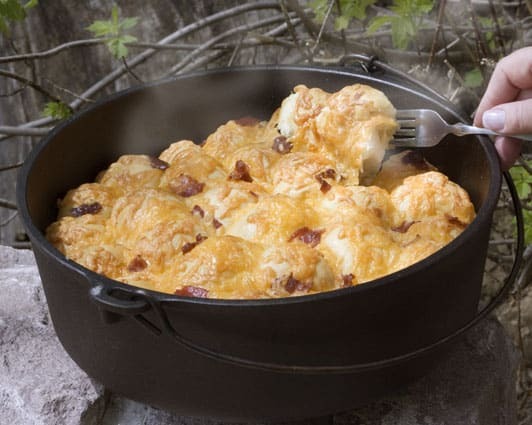 Super simple to make – all you need are tortillas, potatoes, either bacon or crumbled sausage, cheese and some spices. You can find a similar recipe to how we make them here that should be equally delicious. Another super popular breakfast option when we go camping. 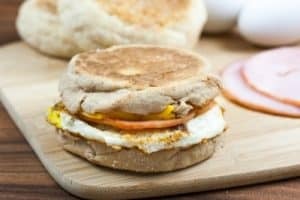 These are very similar to breakfast burritos, but it is on english muffins. Cook an egg over easy, put this on a toasted english muffin (or warm it by the fire). Additional fillers for this can be flat hashbrowns, sausage patties, a couple slices of bacon or a folded up piece of lunch meat and top with a slice of cheese before putting the other slice of english muffin on it. My kids all love this. Pancakes you can make at home beforehand and place into a dispenser (such as an old ketchup bottle), then keep the dispenser in your cooler. Each morning you can make however many pancakes you need and keep the mix in your cooler for the next day. Here is a great pancake recipe, if you need one. This camp breakfast is very similar to one that my husband makes. 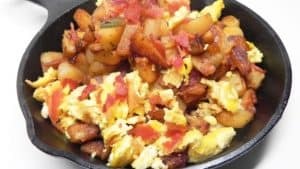 My kids love it – eggs, potatoes, bacon, onions and spices. It’s very popular with everyone who eats it. You can find a recipe here. Sometimes easy is the best way to have breakfast – without having to worry about cooking or heating anything up. So here are a couple easy, not a lot of fuss, just open, maybe some slight prep then eat camping breakfast recipes. I hope you found some great breakfasts to have the next time you go camping. If you found this helpful, please “PIN IT”. If you don’t already, make sure to follow my camping Pinterest board.